Video episode #174: Sunswick 35/35! In 2005, in a rather desolate block of Astoria, the doors opened to a friendly, homey beer bar that nailed down a corner of the neighborhood, and some say, paved the way for a renaissance in this part of NYC that now includes 5 Napkin Burger and a cluster of new fancy bars and restaurants. But these guys were there first. Shooting at: Sunswick 35/35, Astoria! The Guys are shooting here today for an upcoming episode. Seemingly overnight, this section of Queens has turned into The Hotness, with the newly renovated Museum of the Moving Image, a 5 Napkin Burger restaurant, and this Funky Cool Craft Beer bar to name just a few. Wha ha happen? 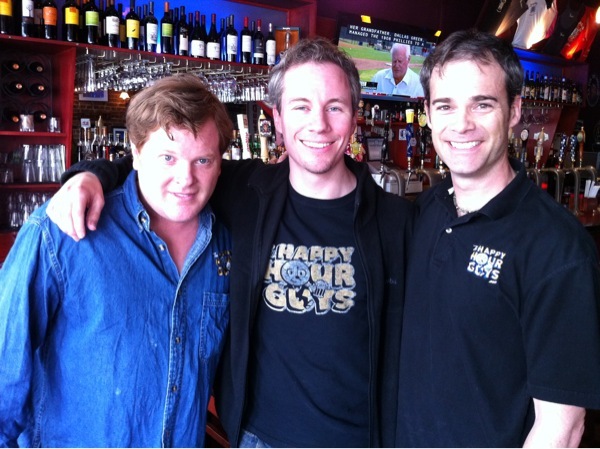 The Happy Hour Guys are on The case!